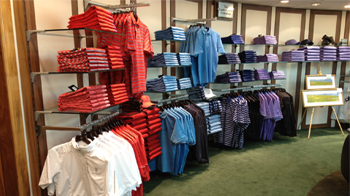 The Castle Course opened today and we have been working hard at selecting the SS13 collections for the shop. We have gone for a completely different look for the shop this year and it is going to be bright and colourful! Our own label garments will be available in colours Cyan (Aqua); Violet (Purple); Herb (Green) and Red…..with a selection of the finest ‘made in Scotland’ Lambswool sweaters to coordinate and layer up with. We are introducing a new brand to the Castle Course this year in the form of the Swedish rainwear brand Abacus. 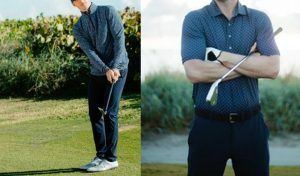 The company, which is an Official Supplier to The European Tour and The European Solheim Cup Team, and an Official Licensee of The 2014 Ryder Cup at Gleneagles, is currently established in 31 countries will proudly sit amongst this year’s collection. The colours in this collection are bold and inspired by the South Sea islands, lagoons and coral reefs – so expect to see plenty of Aquamarine and Coral colouring. The selection of fabrics available in this collection will offer something for everybody in terms of water resistance; wind protection and warmth. Sitting alongside our own label garments; lambswool collection and Abacus, will be a selection of technical garments – Performance Merino for natural breathability and luxury feel; Micro Fleece for comfort in cool conditions, Supima® – a luxury cotton and longer lasting fabric; Ecotec for moisture wicking and quick drying (also with natural odour guard) and CoolPass which offers cool and dry comfort for every day wear (all garments with CoolPass are made of breathable quickdry fabric). This collection will be a colourful one too – look out for deep Pinks and Blues as well as Formula One Red’s. There will also be an offering of classic colours such as Blacks, Grey’s and Navy’s. Whatever the weather brings this summer on the beautiful Castle Course, there will be something to suit everyone from our Castle Course Golf Shop. We look forward to seeing you there! 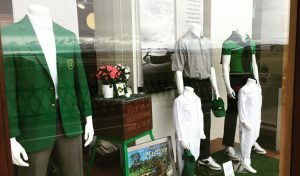 Words by Biba McCormack-Young, St Andrews Links Golf Shops. 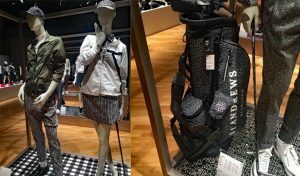 To visit the St Andrews Links Golf shop page, click here.